Transformers: The Last Knight is currently playing in IMAX® theaters around the globe. This is the fifth installment of the Transformers franchise, but the first to have been filmed almost entirely - 98% - with IMAX® 3D cameras. If you’re not a devoted fanatic, this post could contain some minor spoilers; but if you still haven’t seen all five films, what are you waiting for? Below are five reasons fans love the Transformers series. History, as told in Transformers: Age of Extinction, reveals the hidden story that dinosaurs weren’t wiped out by asteroid impact, but rather a Transformers invasion. In Transformers: Revenge of the Fallen, we find out that the Great Pyramid of Giza was not just built by the Egyptians, but built right on top of the Transformers’ Sun Harvester. While you may think the 1969 mission to the dark side of the moon was purely for the sake of the space race, it was really a cover for the Autobots to explore the Ark as chronicled in Transformers: Dark of the Moon. Lastly, of course, there was a Cybertronian Knight enlisted by King Arthur in his battles during the first century, according to Transformers: The Last Knight. We are all familiar with the style of Michael Bay’s directing: an abundance of action-packed and explosion-intensive battle scenes. 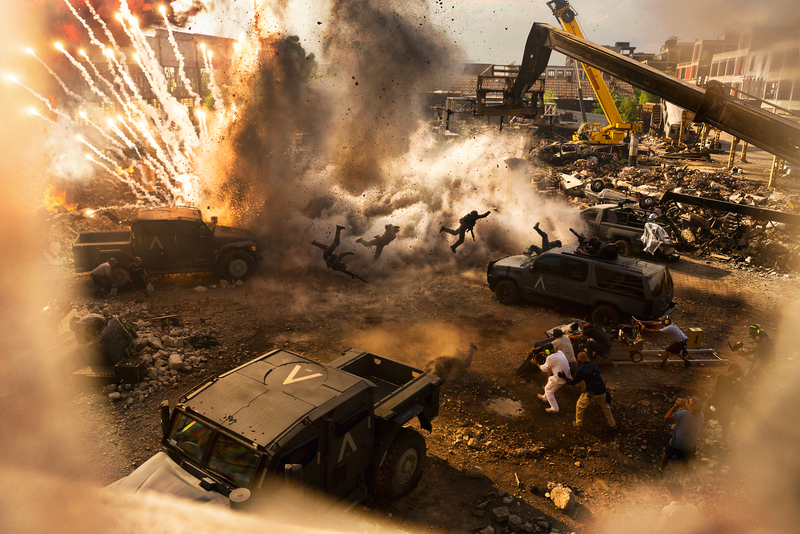 Expect that on overdrive as IMAX cameras capture even more crisp visuals and as IMAX sound delivers the all-consuming effects in Transformers: The Last Knight. Every time the plot thickens between the Autobots and Decepticons, you know to sit back, grab some popcorn and anticipate an incredibly explosive fight. Every fan knows that a Transformers movie isn’t complete until Optimus Prime closes out with a motivational speech over a Linkin Park (or Imagine Dragons) track. There’s more than meets the eye when it comes to Optimus Prime. He’s not just a regular robot-fighting, crime-stopping shapeshifter, he’s also quite the poet. His best speech is undoubtedly from the original Transformers. You can experience Transformers: The Last Knight in IMAX theatres right now. Visit IMAX.com/Transformers for tickets and more information.